We are excited to announce that SSEHRI researchers have recently received two new grants from NIEHS and NSF. These grants build on the success of SSEHRI’s PFAS Project lab and its partners in other research centers and community-based organizations, and of the 180-person international conference on PFAS chemicals that SSEHRI held at Northeastern in June 2017. The proposed project will examine the rapid formation of a national, networked social movement across the United States in response to industrial and military uses of per- and polyfluorinated compounds (PFASs), a class of over 3,000 chemical compounds with a broad range of adverse health outcomes. In the last three years, PFAS activism has rapidly expanded and led to a national coalition of dozens of community-based social movement organizations (SMOs), academic-community research partnerships, increased biomonitoring and water testing of impacted communities, a bipartisan bill for a national PFAS health study, and shifts in state drinking water standards. However, SMO development and cleanup outcomes have been uneven across contaminated sites. The aims of this grant are to analyze the characteristics of local organizing using our Contamination Site Database; analyze the origins, influences, priorities, and outcomes of a new form of chemical class SMO activism; and understand how community groups use and interpret emerging science by collaborating on water sampling with a PFAS SMO. 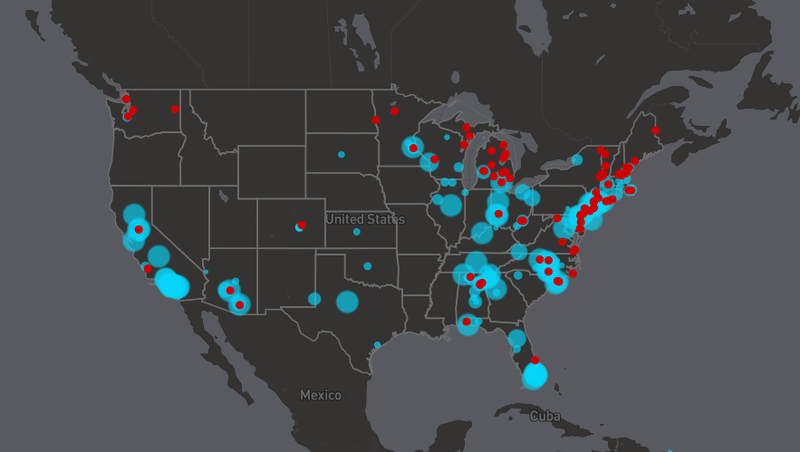 Across the U.S., a growing number of communities are discovering drinking water supplies contaminated with per- and polyfluoroalkyl substances (PFASs, often called PFCs). As we recently reported, over six million Americans in 22 states receive drinking water from sources that exceeded EPA’s 2016 guideline for PFOS and PFOA, and drinking water for an additional 100 million Americans has not yet been tested. We need a better understanding of the composition and health impacts of these exposures, particularly in children, who are at greatest risk of clinically impaired vaccine response and other effects on the immune system. The objectives of this grant are to work with the Portsmouth (Pease Tradeport) and Hyannis communities to: quantify associations of PFAS serum concentrations in children with immune response and metabolomics profiles, develop an online network with resources for community education and engagement, and interview community members to analyze the experiences of residents in impacted communities. In addition, the research tools and community resources developed by this project will support and connect other communities that face similar challenges in responding to PFAS-contaminated drinking water.